Attention Investors!! Great price on this Estate. Sold ''As-Is''. One owner home. 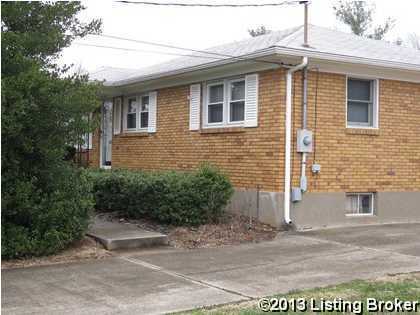 Updates include windows, roof, HVAC, kitchen, Cabinets & tile floor. Over size 2.5 car garage, finished basement. Direction: Outer Loop to Buena Vista to street. 5207 Monaco Dr, Louisville KY 40219 is a Home, with 3 bedrooms which is recently sold, it has 1,550 sqft, 62X125 sized lot, and 2 Car Garage,Detached parking. A comparable Other, has bedrooms and 0 baths, it was built in and is located at and for sale by its owner at $ 0. This home is located in the city of , in zip code , this County Other, it is in the Subdivision, and Cheri Village are nearby neighborhoods.